Here at Displays By Jack, we are a store fixtures manufacturer that strives to provide the best value, highest quality products, superior customer service, utmost respect and personal care. Displays by Jack is about people. Our employees coupled with our customers are the heart and soul of the company.There's always room for people with great capabilities at DBJ. We are looking to fulfill a full time, Accounting/Administrative Assistant position now available in Cerritos, CA. Daily responsibilities include but not limited to processing invoices, providing statement for AR Collections, monitoring customer accounts, investigating customer queries and processing credits and adjustments. Administrative duties as needed to assist other departments and to ensure efficient operation of the office. Candidate must be reliable and have excellent organizational skills. Must be able to work independently as well as work in a team-oriented and fast-paced environment. We are looking for someone who is detail oriented with the ability to multi-task and still maintain accuracy. Displays By Jack is a complete Store Fixture Company. We market our products directly to Retailers nationally. We are seeking an experienced Sales person who can handle existing customers as well as providing new contacts. Our products are extensive which offers a very large variety that can be marketed. This opportunity can be taken to great heights providing you have the desire to work conscientiously to expand the sales domestically. 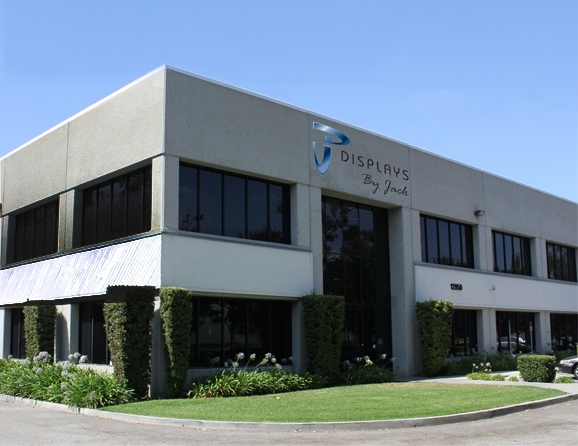 Our corporate offices are in Cerritos, CA with warehousing and shipping capability. We have a competent sales service support system to allow the sales person to concentrate calling on customers and operating to build a strong customer base. An understanding of the products and the world of Retailing will play a major role in the success of achieving the goals in this market. We need someone who can make it happen and get to the proper person to sell our products. We currently have a strong base of retailers but we are very anxious to build an even bigger clientele in the US. Help us get to achieve our corporate goals collectively. Forty Seven Brand is looking for an energetic, results orientated full time salesperson with a proven track record for succeeding in a sales territory and increasing bottom line sales. We manufacture and sell sports licensed headwear and apparel to thousands of retailers and bookstores across the country and are currently looking to expand our team in Northern California by adding a proven sales professional. Responsible for increasing our market share in the Pacific Northwest (Washington, Oregon, Idaho) by presenting our seasonal product line to bookstores and retail chains throughout the territory. The ideal candidate would have a history of being able to maintain consistent activity levels, possess a thorough understanding of time and territory management and the ability to close new business. · Expense budget and semi-annual bonus program. We are looking for an energetic inside sale representative who is able to work in a fast-paced, self directed entrepreneurial environment. The primary duty involves tracking and following up on the leads, the organization generates based on web marketing. An Inside Sales representative handles the project execution actions and overall coordination for the company. Bilingual English/Mandarin is a plus as they will be dealing with oversea vendors. Provides customers with product or service information to assist them in determining appropriate merchandise to purchase. Recommends additional products or services to meet customer needs. May arrange special orders, delivery or installation if needed. Must have great customer service! A full time, administrative/ office assistant position is now available. Daily responsibilities include but not limited to processing sales orders, providing quotes and other general clerical duties. Candidates must be reliable and have excellent organizational skills. Must be able to work independently as well as work in a team-oriented and fast-paced environment. We are looking for someone who is detail oriented with the ability to multi-task and still maintain accuracy. We prefer someone who is eager to learn and follow instructions. Candidate must have more than 2 years of experience working in the warehouse. Must also have more than two years of experience on driving sit down forklift, order picker, and reach truck. Bilingual (English/Spanish). We prefer someone who is eager to learn and follow instructions.